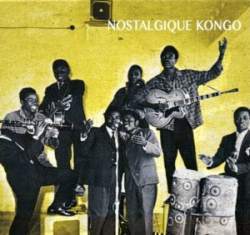 Nostalgique Kongo is the result of various aspects of the African diaspora finding their way home. In this case, Afro-Cuban rumba turning up on both sides of the Congo River thanks to commercial recordings flooding the West and Central African markets as Caribbean cargo ships brought shellac records. There has already been much written about this music, its connection not only to Cuba but Congolese independence. 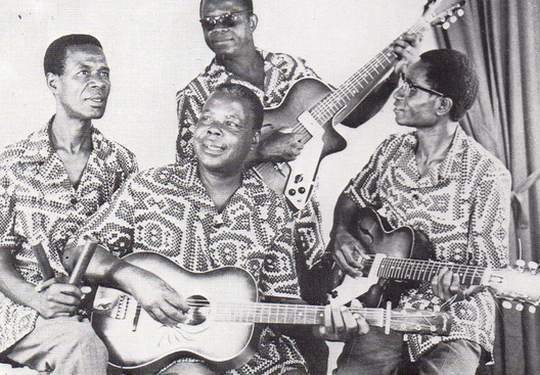 It dominated sub-Saharan Africa for decades, influenced sounds from Uganda to Burkina Faso, and gave the world stars such as Franco, Le Grande Kalle, Dr Nico and others. This collection showcases many of the style’s pioneers who recorded in Kinshasa and across the river in Brazzaville. Labels such as Opika, Olympia, and Ngoma captured the origins of the form, blending vocal harmonies, duos and trios of acoustic and electric guitars, and the insistent clave rhythm, borrowed from Cuba, but originally from West Africa. And while the Cuban Son is deeply influential, the emphasis on stringed instruments, and the lyrics, often sung in Bantu languages such as Lingala and Kikongo, distinguished it radically from its Caribbean counterpart. This record features the vocalist and guitarist Wendy “Wendo” Kolosoy, accordionist Camille Feruzi, as well as Bukasa Leon.